With Necropotence and Solitary Confinement will damage prevention happen? At the beginning of your upkeep, sacrifice Solitary Confinement unless you discard a card. Overall, the Commander choice can be swapped to any Legendary. I don't particularly like Teysa, Orzhov Scion as you need Teysa + Razaketh, the Foulblooded + a creature. Teysa's ability doesn't work on herself and Razaketh can't sacrifice himself. Daxos is the same CMC as Teysa, so they work the same, except Daxos is Pay 2 Life: Search your Library for a card and put that card into your hand. Teysa needs another creature on board, and in order to get a second tutor, the creature that dies needs to be . You could run Darkest Hour but you need to ensure it is on board before you sacrifice. 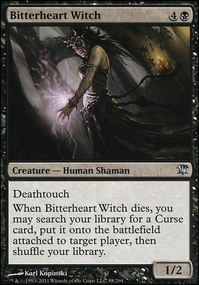 If Darkest Hour is your first tutor, the you still have the issue of needing to sacrifice a creature for the Teysa token to enter. Daxos + Razaketh + = Tutor. Teysa + Razaketh + Creature = Tutor. In both scenarios the Commander can be sacrificed for a second Tutor, but Teysa doesn't provide any value being sacrificed. Teysa doesn't see added value if the first creature sacrificed isn't Black, and won't see value over Daxos with the additional tutor line until the third Tutor. If need be, Daxos can be your second sacrifice, but with Teysa you will want to keep her on board to get any value from her. Sanctum Prelate is an interesting card. My only concern is what number would we call? 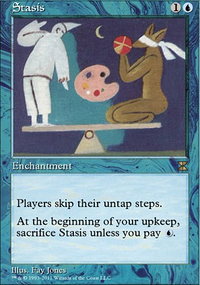 2 seems most likely, to stop Counter magic, but that stops us from casting 2/3 of our Reanimate Auras. You could call 1 in order to stop the single mana Counters and then you only stop your own Altar of the Brood . Vault of the Archangel is there for no good reason. It is perfectly reasonable to remove it. Strip Mine is the most likely replacement. Winter Orb is a great idea, I will definitely look into adding it with other stuff like Defense Grid . You should not overvalue Serra's Sanctum though. I have it included in the deck because I own it, but it is rarely game breaking. 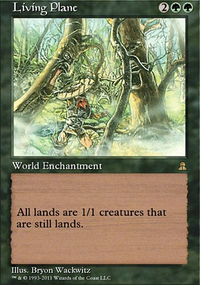 It is a good land, but most games end before it really starts to show value. I find myself tutoring for Urborg, Tomb of Yawgmoth more often. There are 8 cards to win from the LRW combo. A few of these pieces can be removed. Altar of the Brood is not one that should be removed though. It provides a win from LRW or the Bomberman combo. Grim Guardian works with both combos, (as long as you're running Daxos as the Commander), and Underworld Coinsmith is primarily for Bomberman. If you're looking to cut one or more of them, Falkenrath Noble is the most expensive to cast. If you want the universal effect then Cruel Celebrant or Zulaport Cutthroat are likely cuts. Altar of Dementia provides a Mill win if you don't have access to Altar of the Brood. 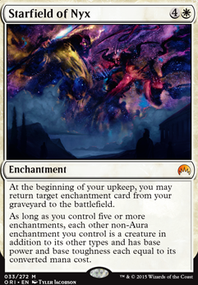 This is a useful piece to keep as it helps you win around Solitary Confinement / Phyrexian Unlife effects. No, there isn't a particular reason for running Authority of the Consuls alongside Blind Obedience other than redundancy. Bitter Ordeal and Victimize are good cards. 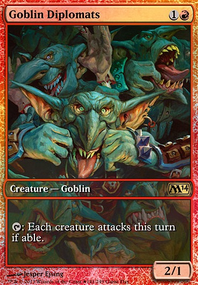 Reanimate is already in the deck. Royal Assassin is pretty good. However, it is very easy to kill and very slow. There are much better cards this deck wants to be playing with 3 mana ( Solitary Confinement Phyrexian Arena Necropotence Coalition Relic , etc.) Also this deck runs lots of board wipes so we don't really want a creature in play that doesn't have an immediate effect. The ascensions can be a little annoying to get active but both of them have won me games. Bloodchief doesn't tend to do a ton in my deck but a few board wipes have been pretty crazy. Luminarch is just plain retarded. It often ends up giving me 4 angels every time I untap and so few people have enough flying to stop all of that. 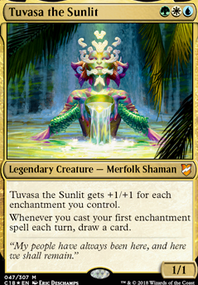 Manabarbs is admittedly a mixed bag but the way I'm set up I will cast one spell most turns. Usually it causes a lot more damage to my opponents. If I get Solitary Confinement or some others then it becomes awesome as it no longer can damage me. Politics are very important for this strategy. I'd highly recommend Null Chamber , as I see it as the pinnacle of alliances, turning off two players' commanders whilst teaming up with another. Debt of Loyalty is also fun, as well as Tragic Arrogance . For what you're trying to do, Mystic Barrier seems to be the best of options. Solitary Confinement and Worship are good for staying around, too. Peacekeeper is also hated and helpful. Good luck with pillow fort. 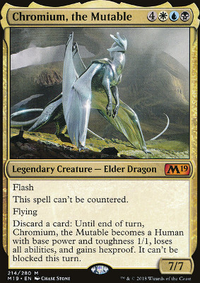 Zur the Enchanter is first to come to mind due to the Solitary Confinement & Necropotence combo, but Daxos the Returned is another Commander that I personally have a lot of fun with that sticks with the W/B Enchantment theme. You'd have to drop the Privileged Position but Queen Marchesa would be a good fit. She plays wonderfully with things like Solitary Confinement .